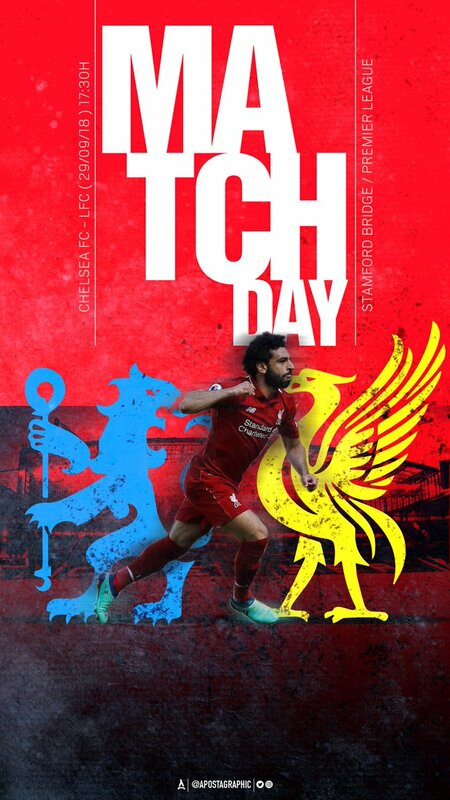 Follow all the build-up, action and reaction from Stamford Bridge throughout the day as Liverpool visit Chelsea in the Premier League. Liverpool maintain their unbeaten start to the Premier League season after an incredible tussle with Chelsea at Stamford Bridge. Eden Hazard gave the hosts the lead midway through the first half to threaten a first Premier League defeat of the campaign for the Reds. The visitors piled on the pressure in the second half and had several chances to draw level, but it looked like it would be one of those days. That was until Daniel Sturridge found the top corner in the 89th minute with an incredible strike from 20 yards to secure a deserved point for Jürgen Klopp's side. Van Dijk has to block in the box to deny Moses from eight yards out. Sturridge picks the ball up 20 yards out. Looks up. Archs one across goal towards the far top corner. And finds the top bin. 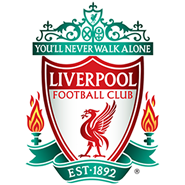 Last change for the Reds as they try to grab something from the game - Sturridge comes on for Milner. Firmino finds Keita on the edge of the area, but he slices wide under pressure. Chelsea's final change sees Barkley take the place of Kovacic. Shaqiri strikes a free-kick goalwards from 20 yards out, but Kepa gets right behind it. Second change for the Reds: Keita comes on for Henderson. Milner booked for a challenge on Moses. Moses replaces Willian fo the hosts. Firmino's downward header from Milner's stand up is hacked off the line by Luiz with Kepa beaten. 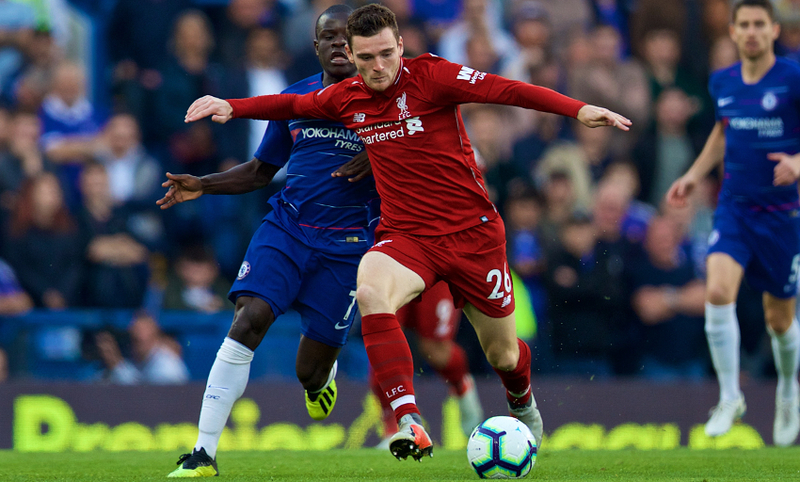 Robertson escapes down the left after Azpilicueta slips and crosses low into the middle, where Shaqiri arrives unmarked. But the Swiss can't adjust his feet properly and slices wide of the post. Kovacic has a go from the edge of the area, which Alisson needs to parry to safety. 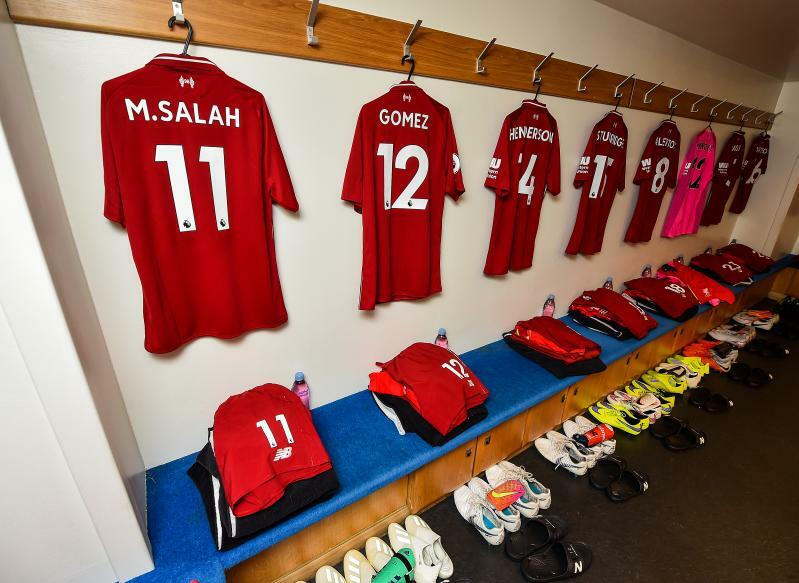 Now Liverpool make a change and Salah makes way for Shaqiri. Chelsea make the first change as Giroud goes off and Morata comes on. Chelsea take a free-kick deep inside their own half quickly and it sends Hazard well clear with only Alisson to beat. But the Liverpool 'keeper makes a brilliant block to turn the eventual effort over the crossbar and keep the scoreline at 1-0. 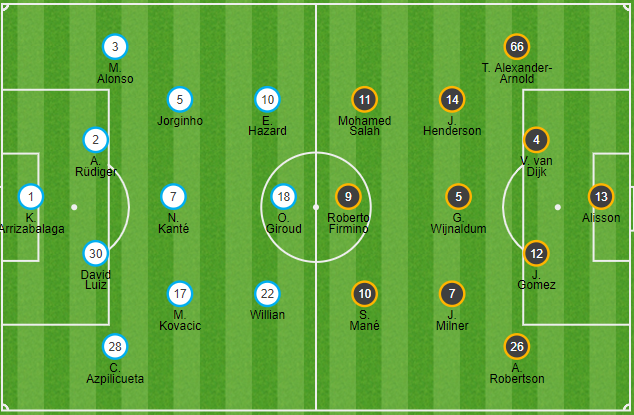 Chelsea look to counter but Willian is closed out by a combination of Van Dijk and Gomez. 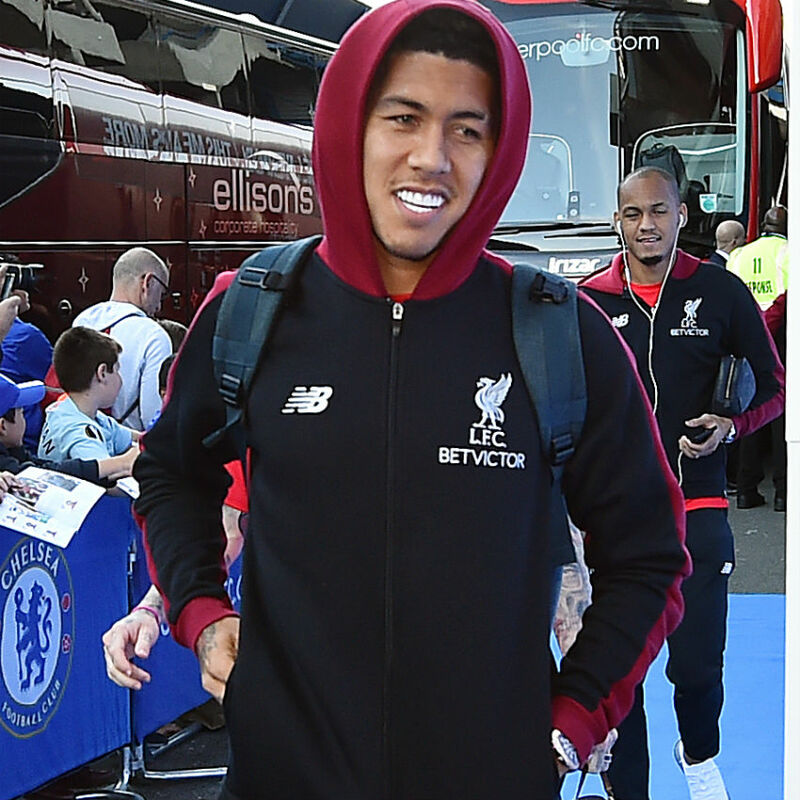 Firmino keeps a ball alive that looked to be heading out, plays it to Mane who steps inside Luiz and has a low effort saved on the line by Kepa. Liverpool finding their feet in the second half now and are applying pressure steadily. Now Milner has to clear before Willian can turn in Hazard's cross and Van Dijk blocks Kovacic's follow-up. Chelsea have started the second half brightly. Gomez denied Hazard from getting clear inside the box and Giroud has nudged wide from Willian's centre. Liverpool re-start the game, hoping to find a way back into it after Eden Hazard's first-half opener. Eden Hazard's goal midway through the first period is the difference between the teams at the break. Alexander-Arnold's cross from the right is just behind Mane, but he manages to improvise by controlling on his knee and attempting an overhead kick. It's too high, however. 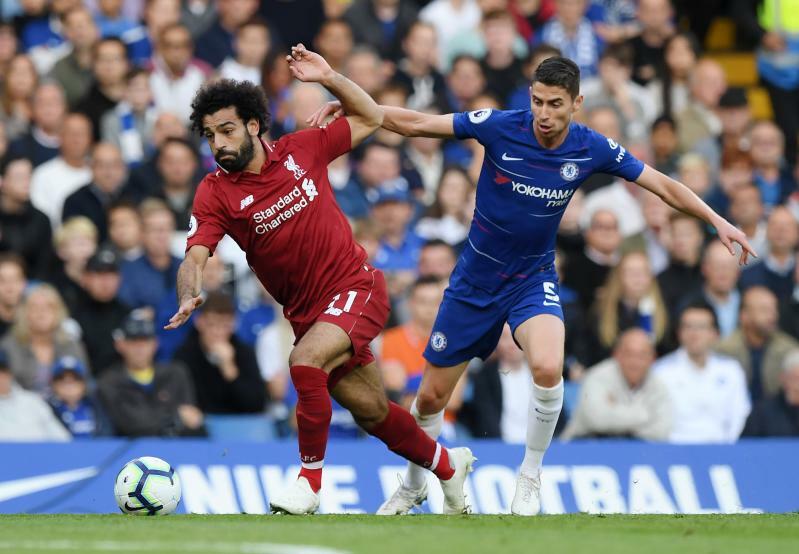 Liverpool almost open up Chelsea after Salah and Wijnaldum combine on the edge of the area; however, the former's attempted pass to the unmarked Firmino is a touch too far in front of the Brazilian. Mane is shown yellow for a challenge on Hazard. 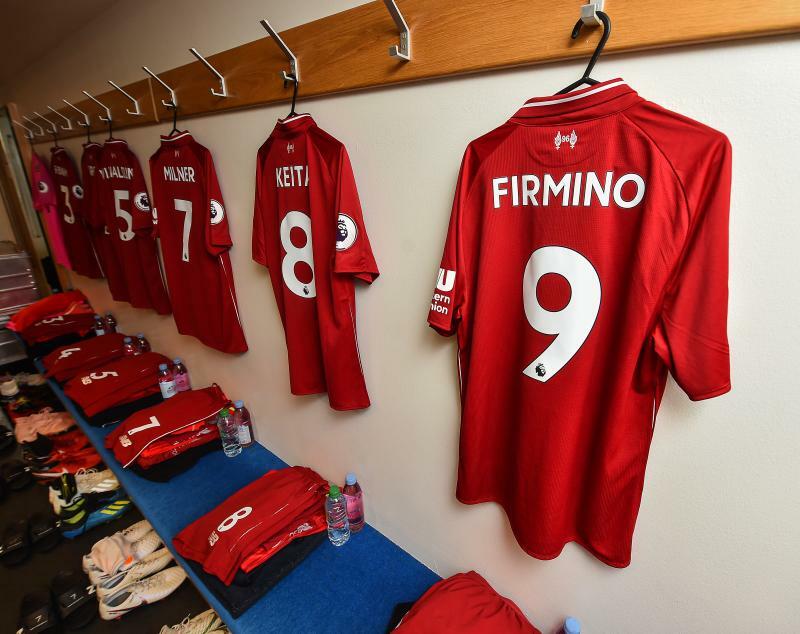 Firmino nudges it through for Salah, who has to hold off the attentions of Rudiger. He manages to escape and go beyond Kepa, but his eventual shot towards goal from an angle is blocked on the line by the recovering Chelsea defender. Azpilicueta heads a Milner free-kick over his own crossbar... but no corner is awarded. Robertson lofts an inviting cross into the middle and Luiz needs to head away from just in front of his own goal as the Reds look to muster a response. The home side have the lead at Stamford Bridge as Hazard is sent sprinting into the left-channel of the area after a slick exchange of passes on halfway and fires a low drive across goal and into the corner. Willian escapes behind the Liverpool defence and finds himself facing Alisson. The Chelsea forward takes a shot from the edge of the box, but the 'keeper blocks well with his body and the ball goes to safety for the visitors. A bit of a let-off for the Reds. Salah slips Firmino into space inside the box, but Luiz blocks his strike at goal. Van Dijk steps forward to intercept on halfway. He plays it to Firmino, who lays it off to Mane. The forward surges towards the edge of the area but blasts well wide. Great footwork from Salah to absolutely bamboozle Rudiger on the edge of the box, but he slices his shot high and very wide. Gomez does well to recover after Giroud almost slides Hazard in. Wednesday's match-winner looked to have wriggled free for a moment, but the Reds defender averts the danger. Salah registers the first shot on goal after Liverpool won the ball back high up the pitch, but his attempted curler lacks the pace and direction to beat Kepa and the 'keeper collects. Chelsea start the game and we're up and running at Stamford Bridge. ...we're moments away from kick-off. 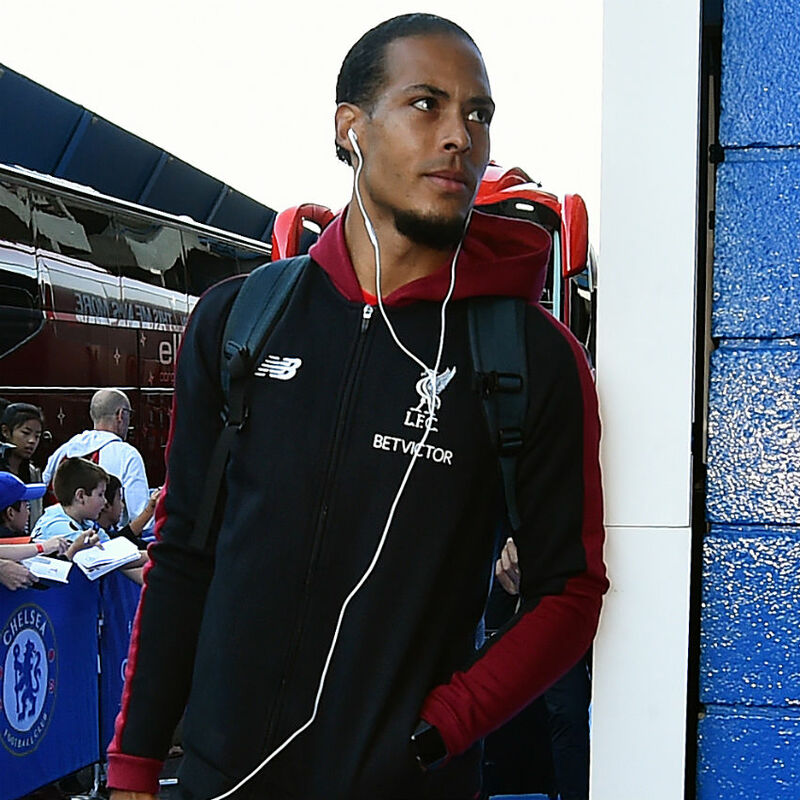 Virgil van Dijk is fit to start for Liverpool at Stamford Bridge. 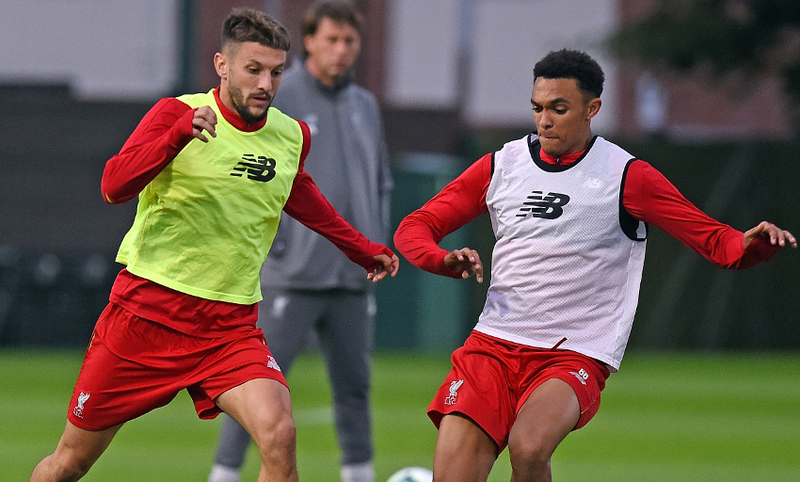 Klopp makes nine changes from the midweek cup meeting with the Blues and the defender is among those who come back into the starting XI. 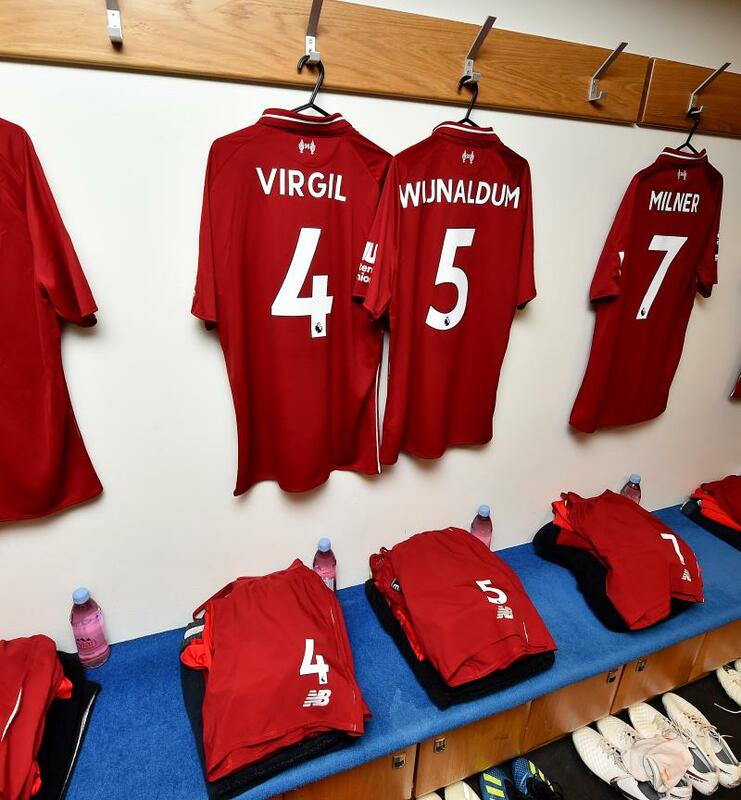 There'll be a lot of interest in Liverpool's teamsheet given the fitness concerns surrounding Virgil van Dijk. Did you think we'd leave you hanging? We know how much traction our weather updates generate; we know how valuable they are. 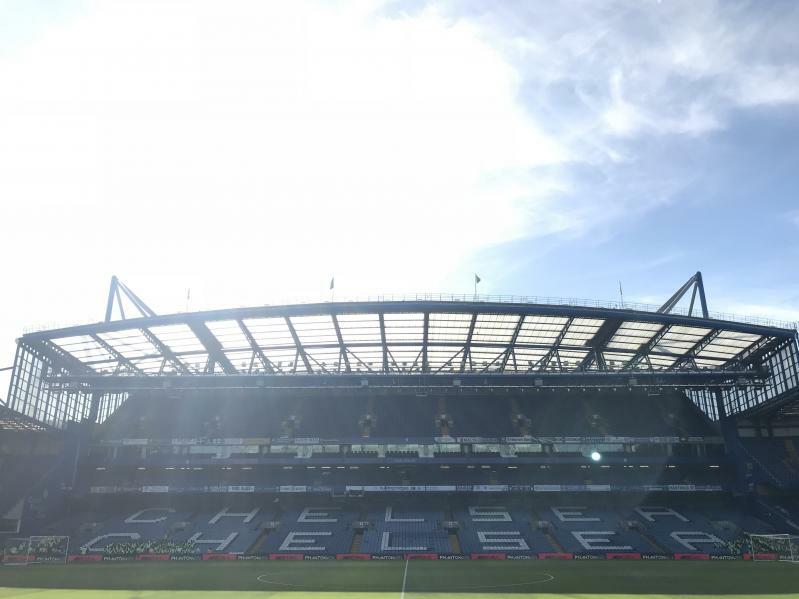 As captured in the image below, Stamford Bridge is basking in the late summer sunshine and it's what's been described by Liverpoolfc.com scribe Sam Williams as "pleasantly mild" in the capital city. The mercury gauge may dip slightly once the game is under way as we approach darkness, but a light spring jacket should do the trick today. ...bathed in sunshine. Cracking day for it. Chelsea boss Maurizio Sarri is taking nothing for granted in his programme notes following his team's Carabao Cup win at Anfield in midweek. 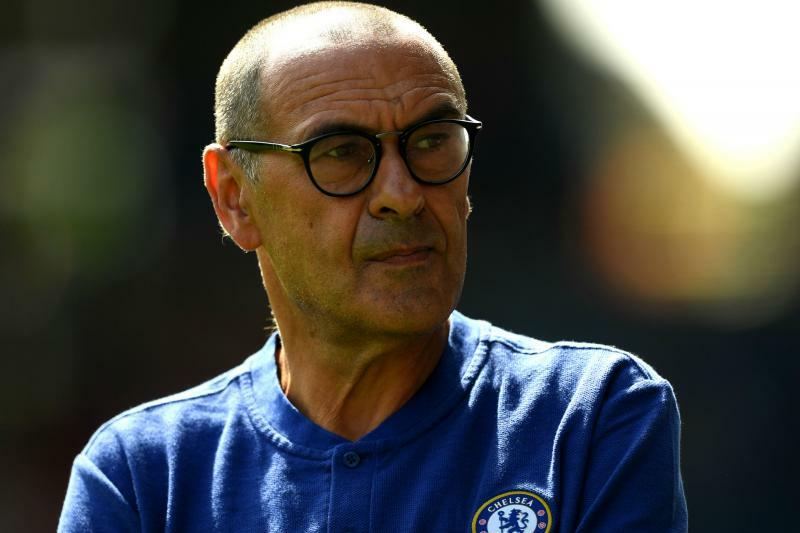 Sarri writes: "I think we have to expect a different game here at Stamford Bridge, but we are looking forward to a good test against a very strong side who have been working with the same manager for a long time now." One win in the bag! 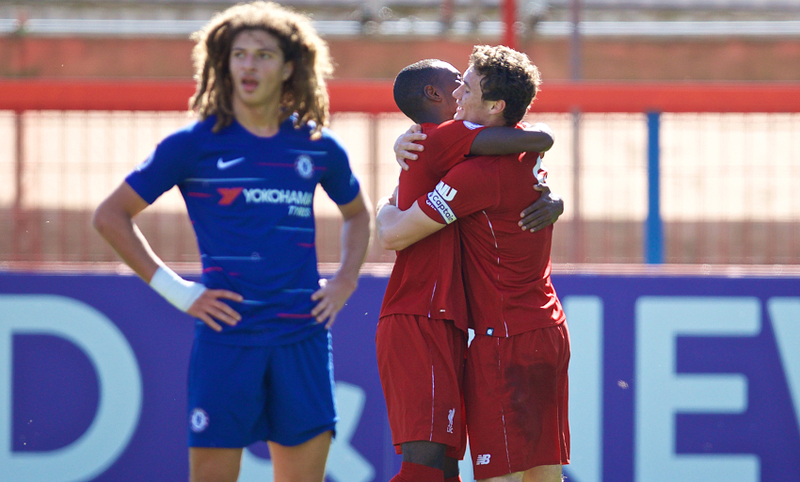 It's all over in the U23s encounter and Liverpool have claimed a 3-1 victory over Chelsea, their second win of the Premier League 2 season. Click here to read our full match report. 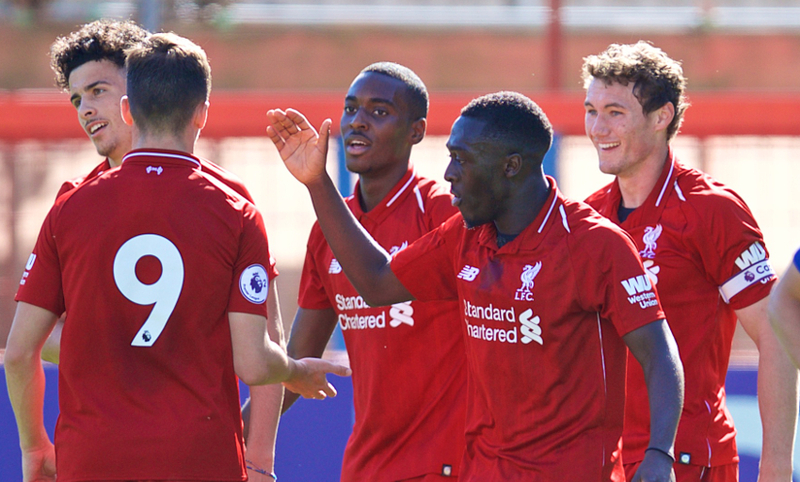 Half-time in Aldershot and Liverpool U23s have been hugely impressive against their Chelsea counterparts and lead 2-0 courtesy of goals from Rafael Camacho and Matty Virtue. 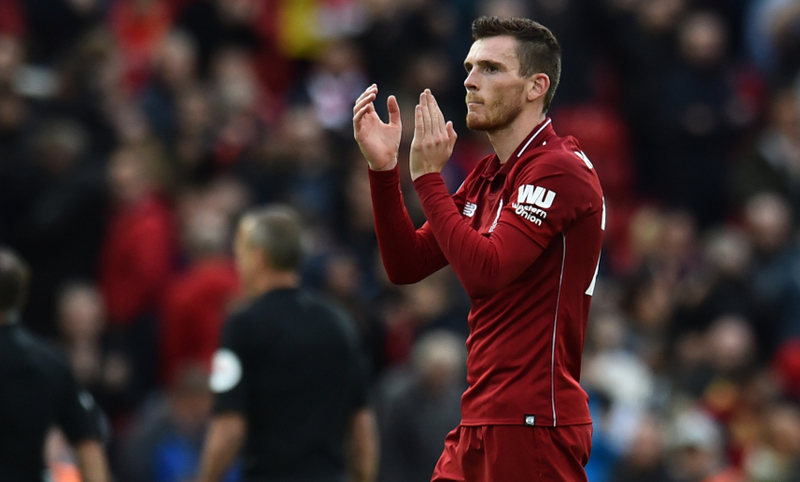 Andy Robertson expects today's encounter to be similar to Wednesday's cup tie in nature - but the left-back confirmed just how eager the Reds are to improve their record in the biggest games this season. Klopp's men took only one point from away league fixtures at Arsenal, Chelsea, Manchester City, Manchester United and Tottenham in 2017-18. "We've already put that right by beating Tottenham, which was a bad result last season," the Scotland international told Liverpoolfc.com. "Hopefully we can do that again on Saturday because it was disappointing last season. You just look to put these things right and because you're playing against one of your closest rivals it has that bit bigger swing to it." 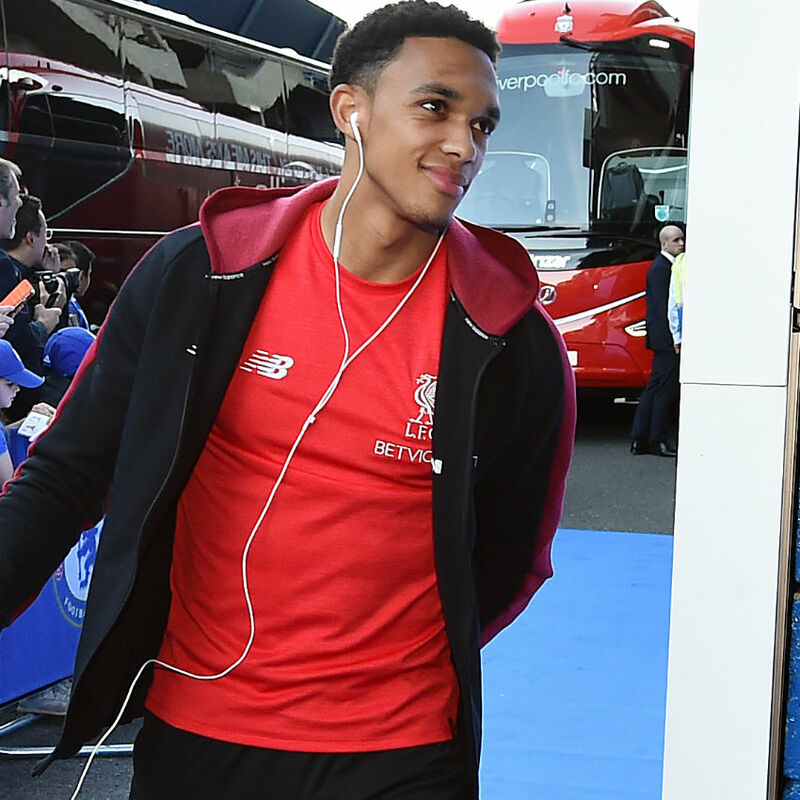 While Van Dijk is a doubt as previously mentioned, Liverpool should be able to call on Trent Alexander-Arnold and Georginio Wijnaldum at Stamford Bridge after illness and a knock respectively. Click here to read our comprehensive preview on both sides. There are actually two Chelsea v Liverpool matches taking place today - the U23s sides are set to meet at 12pm BST in a game you can watch live on LFCTV and LFCTV GO. Grabara, N. Williams, Lewis, Johnston, Juanma, Chirivella, Adekanye, Virtue, Millar, Jones, Camacho. Substitutes: Coyle, McKenzie-Lyle, McAuley, Gallacher, Christie-Davies. Last season, the Reds were eliminated by Leicester City in the third round of the Carabao Cup. The teams met again in the league the following Saturday and Liverpool won. 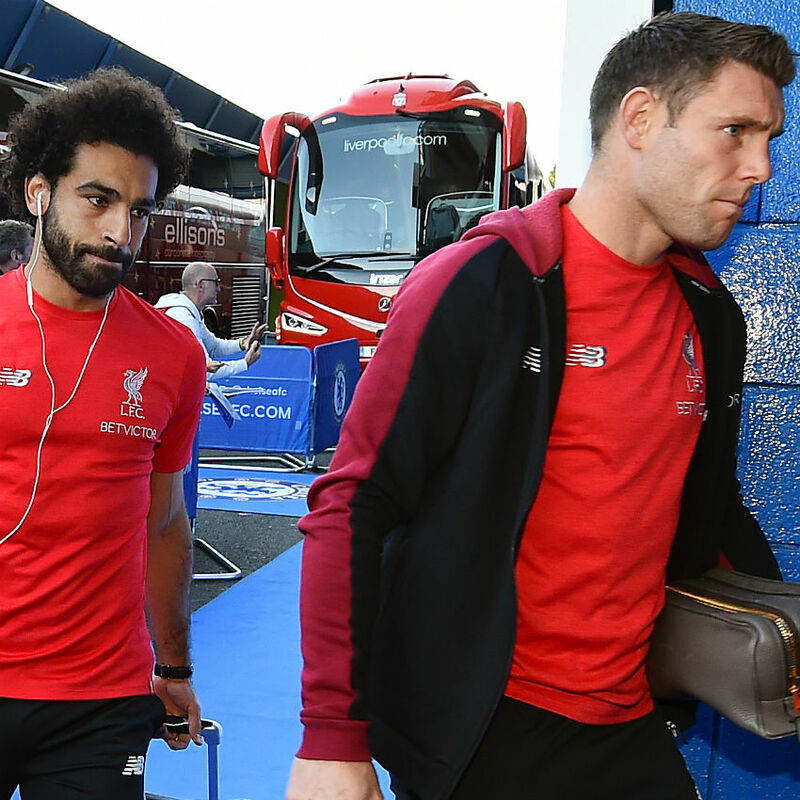 Klopp met with the media on Friday to look ahead to today's rematch with Chelsea, including the latest team news, what Liverpool have learned from Wednesday's game, his satisfaction with Xherdan Shaqiri's start at Anfield and much more. 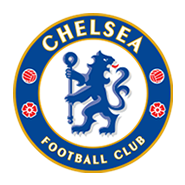 Neither of these sides have tasted defeat in the Premier League this season, though Chelsea's winning streak ended with a goalless draw at West Ham United last time out. 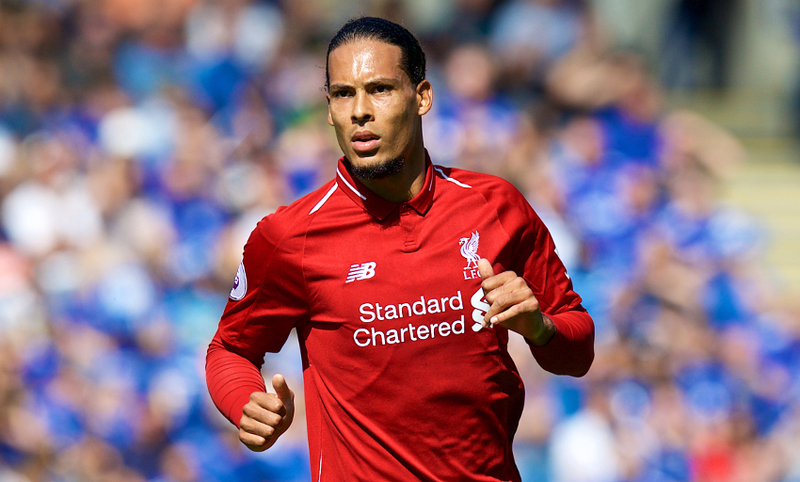 Liverpool are waiting to make a decision on whether Virgil van Dijk can play a part in this game after exacerbating a rib injury against Southampton last weekend. "Virgil will try everything to be ready. 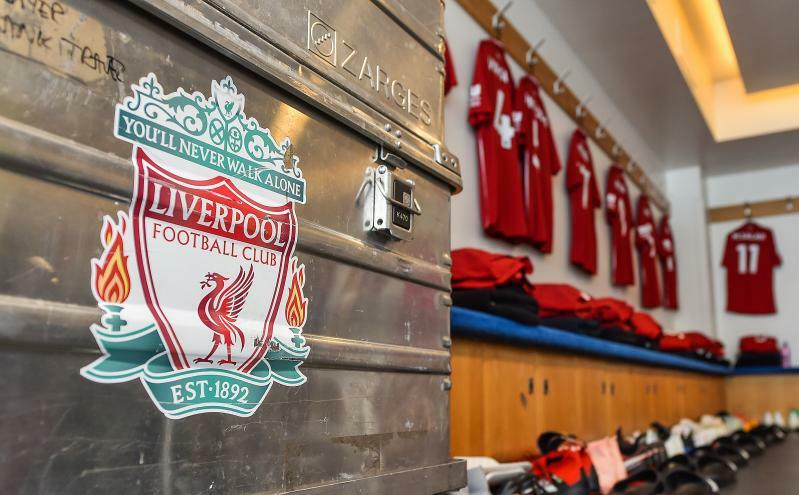 I know how it sounds but as long as you are not seriously injured, like broken or ruptured or a proper strain, then the boys play constantly with pain," explained Jürgen Klopp. 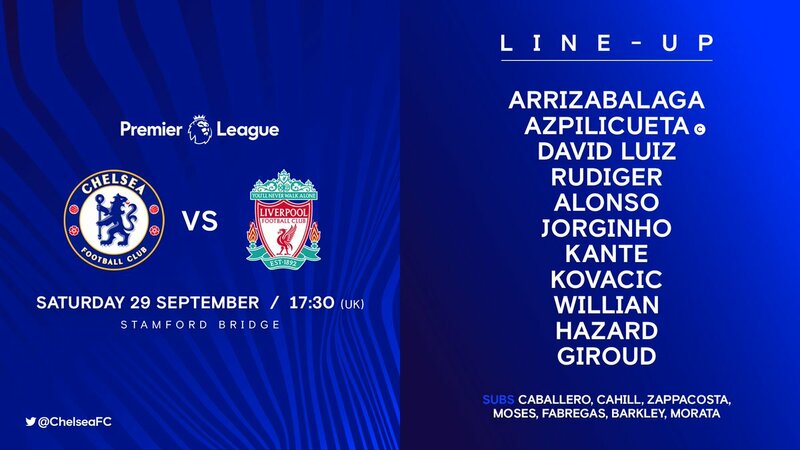 Three days on from their Carabao Cup tie at Anfield, the two sides meet again in the Premier League at Stamford Bridge. 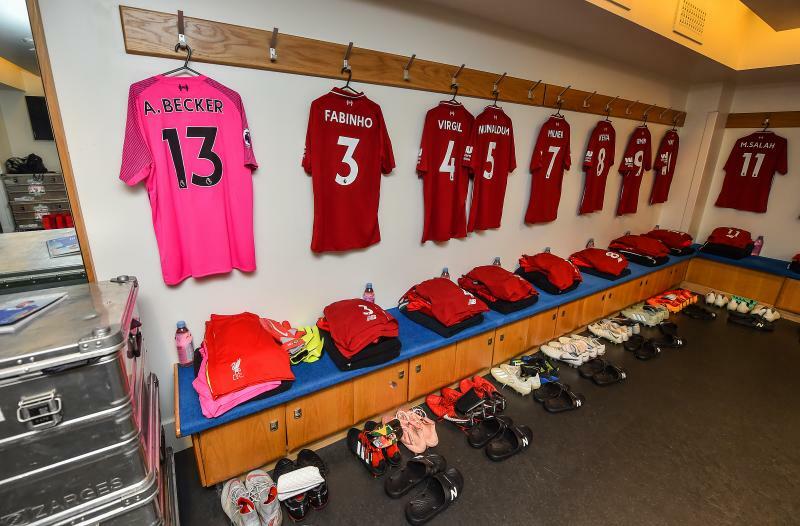 And we'll be keeping you updated with everything that happens here in our live match blog - featuring confirmed team news, updates from the stadium, photos, reaction and more.